Jeffrey Douglass is a very active sailor based in San Francisco, CA. 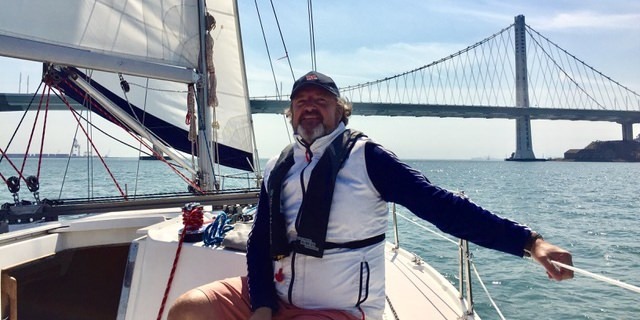 Jeffrey Douglass: I’ve been sailing 5 years. Always in the San Francisco Bay. I sail year round, at least once during the week and on weekends. I have certifications all the way up to Bareboat (ASA 104). I would love to help grow the community of GO SAILING members and users. JD:It’s pretty intuitive and I meet so many excellent crew! I post a sail on Thursday and by Friday morning its full. JD:I’m running Love Boat 101 – a couple met on charter and they are now dating!